This is the final product in the series of ‘Review of Hedonista products’. In my earlier posts, I have reviewed Hedonista Strawberry & Dessicated Coconut Fresh Face Scrub, Hedonista Chocolate & Rhassoul Clay Face Souffle and Hedonista Clear Moisturiser with Lavender-Vanilla. I have loved all these products from Hedonista. Today I will review a unique product. Its a hair perfume. Yes, you heard it right! A hair perfume! I received this in one of my Envy Box. I haven’t seen a hair perfume in any other brands yet. So I was quite excited to try it. 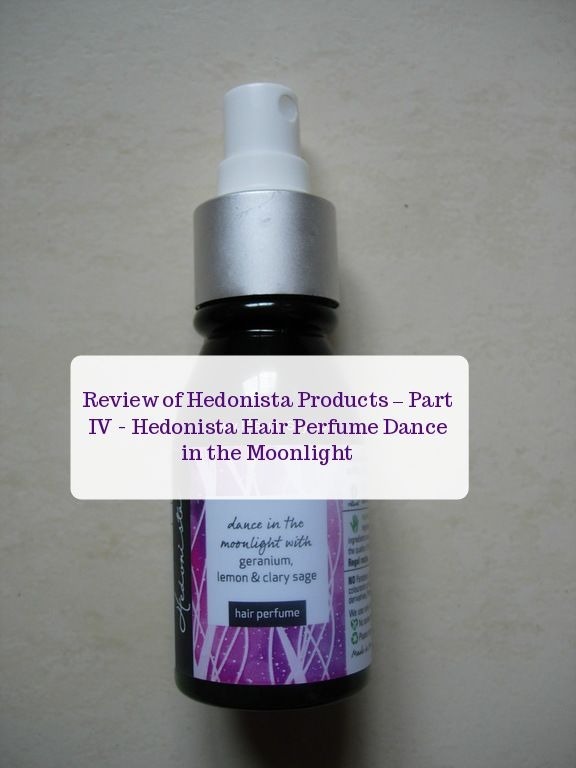 Let’s see how Hedonista Dance in the Moonlight Hair Perfume fares. Hedonista Hair Perfume comes in a convenient pump packaging which you can directly spray on your hair. It is compact and travel-friendly as well. Before we start with the review, let’s see why we need a hair perfume. Most of us wash our hair 2 or 3 times a week only. And in these cold winter months, many prefer washing only once a week. Between these days, due to the pollution, dirt and humid climate we are living in, our hair naturally becomes dirty and starts smelling. If you are someone who workout daily, then I don’t even have to say it. One of the popular recent remedies for this has become dry shampoos. They make our hair look and feel fresh. But just look at the whole list of chemicals in dry shampoos and you would never want to put all that in your hair. 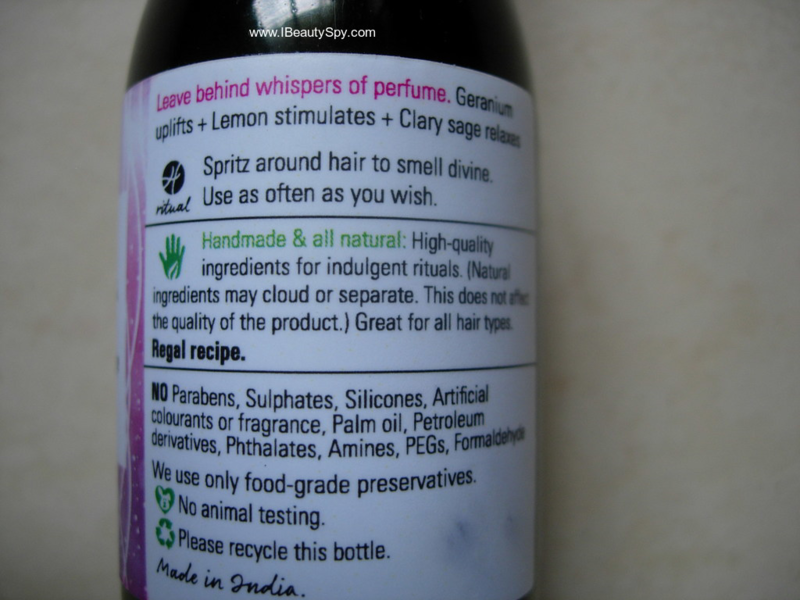 I think dry shampoos are just a fad and they are going away soon once people become aware about ingredients list. So what other options are available? Hair perfume! Now when I say perfume, don’t think this will also be overloaded with chemicals. 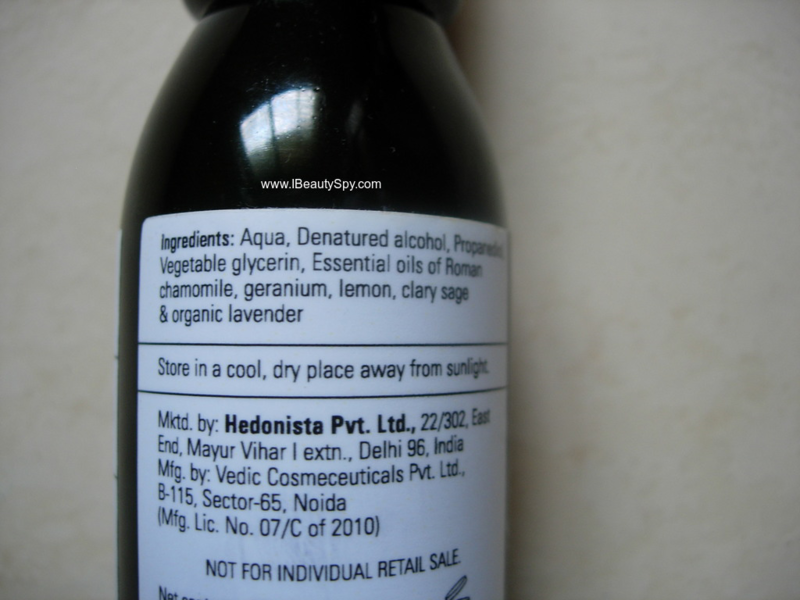 Hedonista Hair Perfume is made from completely natural ingredients and hence safe for your hair. The texture of Hedonista Hair Perfume is just like water. The scent is completely natural and from essential oils. It has a very fresh and pleasant fragrance to make your hair smelling good. I spray few spritzs on the lengths of my hair and use a comb to spread it all over. The scent of clary sage is prominent followed by lemon, chamomile and lavender. I don’t smell geranium much which is good as I don’t like the scent of geranium. It makes my hair smell so fresh and good. The staying power will depend on how much quantity you have used. 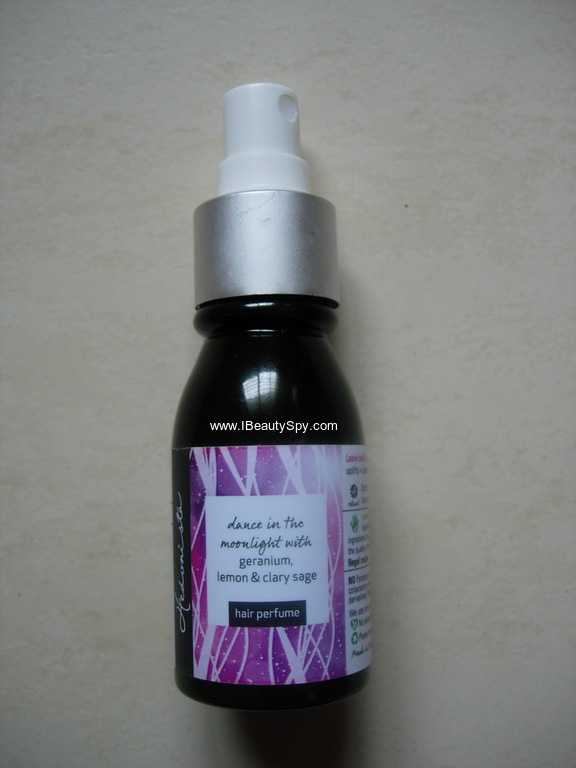 If you are headed to a party and wish for it to last like 5-6 hours, then you can use around 4-5 spritz. Sometimes I spray more and the scent lasts even till the next day which I think is great. Hedonista Hair Perfume also helps to keep my frizziness at bay. Since it contains glycerin, it does smooth out hair a bit and helps in detangling. If you have oily hair, then I would suggest you to use less quantity only. Being a perfume, it does contain alcohol, but still it doesn’t dry out my hair. Yes, definitely, if you are looking for a product to make your hair smell fresh and good. Hedonista Hair Perfume is a unique product which makes your hair smell fresh and good. 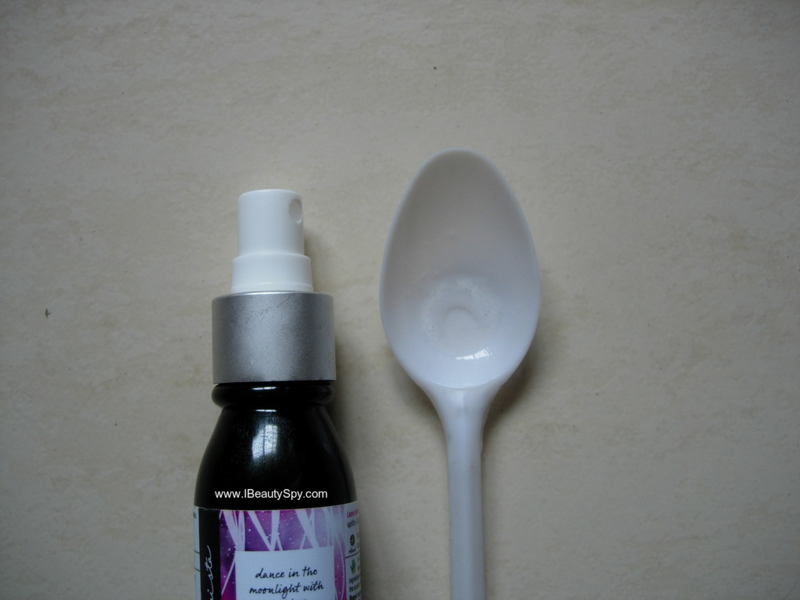 It uses only natural essential oils for the fragrance, so it doesn’t harm your hair in anyway. It is not a must-have product. But if you looking for something to make your hair smell fresh and good all the time, then definitely give this a try. Even if you don’t want to use it daily, you can reserve it for special functions and parties. So there ends this series of ‘Hedonista Products Reviews’! I liked all their products that I tried. If you are looking for all natural, gourmet beauty products which are also cruelty-free, then definitely check out this brand!